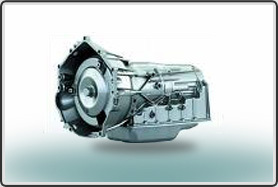 Advanced Engine and Transmission offers transmission check and repair services for older and newer vehicles, import and domestic, including automatic transmission and standard shift repairs by experienced professionals. Our state of the art diagnostic procedures along with the experience of time serving our industry are an advantage to our customers. Knowledge of parts is essential to quality transmission service. We use original equipment manufacturer (OEM) parts suppliers and American-made products as our first choices. Transmission service procedures are progressive. Through continuing education, we offer you the best possible service. To schedule your car’s free transmission check, call (727) 584-1460, or visit our Clearwater auto repair shop, just minutes from Largo, Seminole, Belleair, Belleair Beach, Clearwater Beach, Dunedin, Pinellas Park, and more. Copyright 2009 Advanced Engine & Transmission, Inc. All Rights Reserved. Site Design, Hosting and Maintenance by Digital Eel, Inc.